Percussionist Jeff Stern is emerging as an exciting new voice in today’s contemporary music scene. He is committed to activating meaningful collaborations and presenting a vast repertoire with engaging, nuanced, visceral performances. 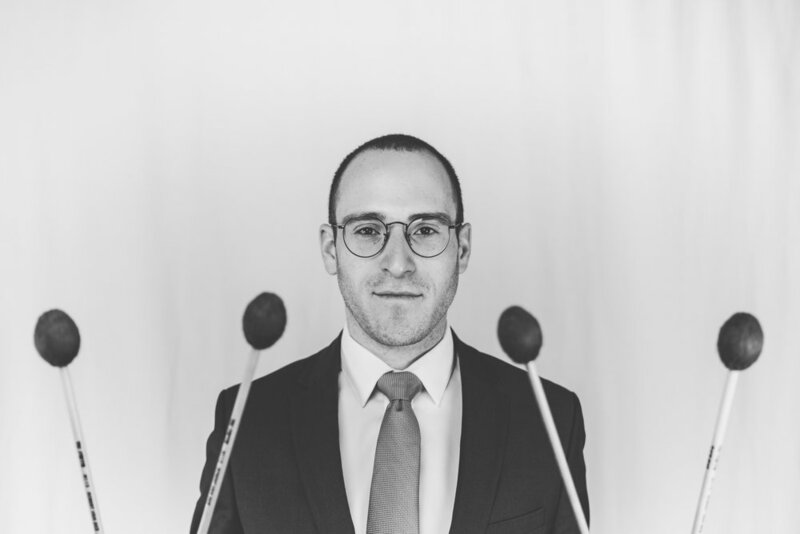 He has worked closely with and given premieres of works by composers such as Martin Bresnick, John Luther Adams, Michael Laurello, and James Wood, including Wood’s recent marimba solo, Secret Dialogues. Jeff is a founding member of 2 piano/2 percussion group, icarus Quartet, championing the repertoire’s staples as well as new works from great young composers of his generation. He is also on the performing roster of The Percussion Collective, with which he has toured the US, been broadcasted on WXQR’s Midday Masterpieces, and has upcoming international tours and concerto appearances with major symphony orchestras. Jeff has appeared at the Yellow Barn Music Festival, the Bang on a Can Summer Festival, the Norfolk Chamber Music Festival, and the Eighth Blackbird Creative Lab. He can also be heard on Cantaloupe Records’ release of Pulitzer prize-winning John Luther Adams’ large-scale percussion work, Inuksuit. Jeff is on the percussion faculty of the Peabody Institute of the Johns Hopkins University and Mount Saint Mary’s University. Jeff holds degrees from UMass Amherst and the Peabody Conservatory, where he was awarded the Harold Randolph Prize in Performance. He recently earned an Artist Diploma at the Yale School of Music, where he studied with marimba virtuoso Robert van Sice. Jeff is a proud artist endorser of Vic Firth sticks and mallets and Pearl/Adams drums and percussion.